Hey snow lovers! 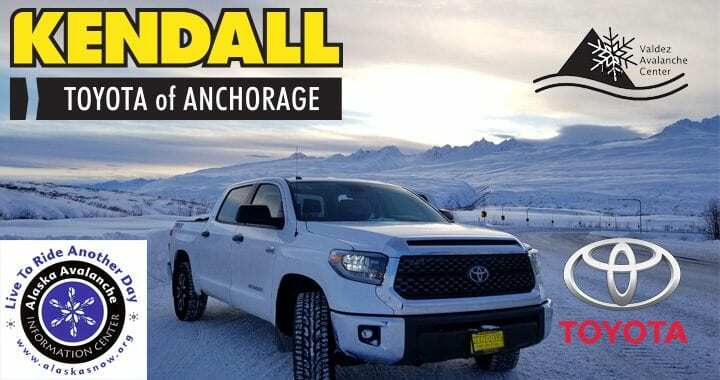 The Alaska Avalanche Information Center here with your weekly snow report thanks to Kendall Toyota of Anchorage and Q997. This week temperatures rose to near freezing in the interior and above freezing in coastal areas across the state. Expect the sun and cold to return this weekend. Snow conditions along the Parks Highway, Glennallen, Eureka, and Lake Louise are open and groomed regularly. With temperatures fluctuating it is important to pay close attention to the snowpack, especially in coastal areas that recently experienced rain and above freezing temperatures. Forecasters across south central Alaska have issued avalanche danger ratings of ‘considerable’ this week, meaning natural slides are possible and human triggered avalanches are likely. Always check Alaska Snow dot org to get the latest avalanche forecast for an area you want to ride. On February 2nd at 5:30 PM the Hatcher Pass Avalanche Center will be hosting their ‘Cabin Fever Reliever’ event at the Palmer Moose Lodge. Learn more by visiting the Hatcher Pass section at Alaska Snow dot org. That’s it for this week, travel smart and train like a pro so you can live to ride another day.